abhik wrote: "Top of the food chain are the Japanese. They have a GaN AESA fighter radar and AESA based BVR, started deploying in 2012!" AFAIK there are no operational GaN AESA fighter radars, happy to be corrected. souravB wrote: Before this India has only licensed ARM architecture which comes with it's own instruction sets and designed chip based on the architecture i.e. add or modify components or change number of instructions executed per second. The instruction sets are the same. Incorrect. DRDO(Anurag) and ISRO have been designing indigenous CPU's for strategic purposes since late 1990's for missiles, rockets and gen purpose computing uses. Most of these are manufactured in India by SCL and some outside India. Some claims in that video are nonsense. Google for Anupama processor (33MHz-0.7um), Abacus processor (90Mhz-0.15um, 200Mhz-0.13um), Migacore processor (1GHz-90nm), Anusanchar DSP, Anuvani DSP, all from Anurag and vikram processor from ISRO. Now whats this brouhaha all about ???? What's so great about this news? Is there really anything new or just a PR stunt? Mazgaon Dock to diversify into exports & vessel repairing. Lath said last of the vessels on order at present will be delivered to the Navy by 2025 and will include one delivery of Scorpene class submarines per year till 2022, starting with 'INS Khanderi' by December this year. A senior official hinted delivery of the INS Vishakhapatnam (P-15 bravo) may be ahead of the revised timeline of 2021. I do not know the reason it is not working. Are you browsing in Incognito mode? Mazagon Dock to deliver second Scorpene class submarine by year end. After commissioning its first submarine, Kalvari, in December 2017, the company will deliver five other submarines to the Navy by 2022. “We will deliver the second submarine to the Navy by the end of 2018. Most of its trials have been conducted. The third submarine is being readied for sea trials and will be commissioned by next year. We will deliver the remaining submarines in 2020, 2021 and 2022, respectively,” said Captain Rajiv Lath, Director of MDL submarine and heavy engineering. The submarines entail advanced acoustic silencing techniques and produce lower levels of radiated noise. Senior MDL officials said Khanderi is equipped with an integrated platform management system that will ensure better maneuvering of periphery and undertake multifarious types of missions, including anti-surface and anti-submarine warfare, intelligence gathering, mine laying as well as area surveillance up to six meters of the periphery. 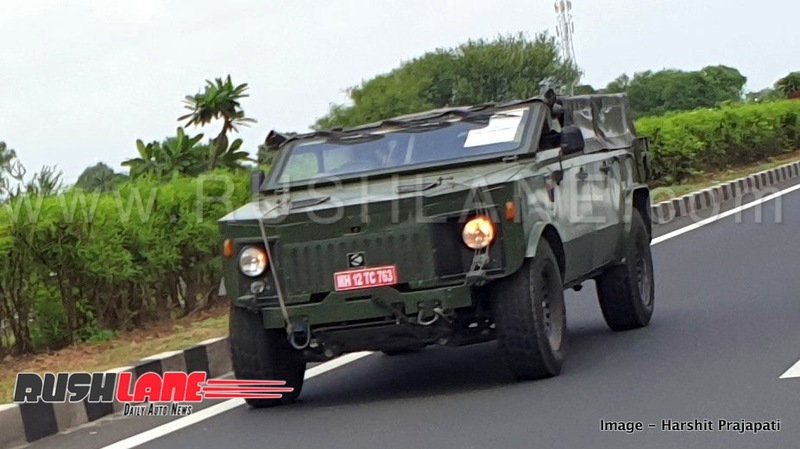 RInfra to deliver parts prototypes for Arjun Mark II ahead of schedule. Reliance Infra is planning to deliver prototypes of the hull and turret for the Arjun Mark II main battle tank (MBT) to the Combat Vehicle Research and Development Establishment (CVRDE) six month ahead of the deadline. The prototypes are being manufactured at the company’s facility in Silvassa. RInfra had won the contract to manufacture the prototypes in 2017 through a competitive bidding process. Other bidders included L&T, Bharat Forge, the Mahindras and Godrej. The CVRDE has been looking to scale up the manufacturing capacity of Arjun tanks to meet the Army’s requirements. Private sector players were hence considered as an alternative supply line in addition to the Ordnance Factory Board, which has so far been the sole supplier of indigenous components for the MBTs. Without disclosing the details and size of the CVRDE order bagged by RInfra, sources said the company is targeting an overall opportunity of ₹2,500 crore once mass production starts. The Defence Acquisition Council gave the green signal for the ₹6,600-crore procurement of 118 Arjun Mark II MBTs to equip two regiments back in 2014. 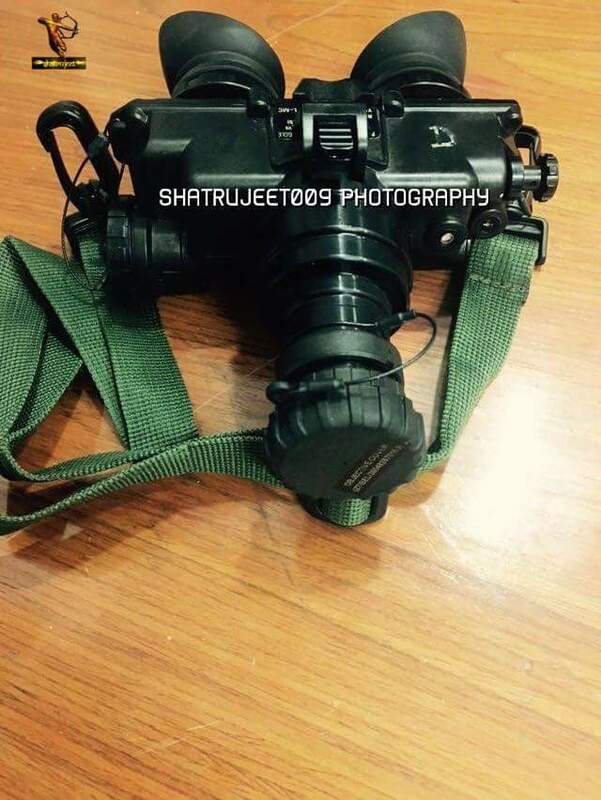 This will be in addition to an earlier order for 124 Arjun Mark I tanks currently manufactured by state-owned Heavy Vehicles Factory at Avadi, Chennai. The Mark II version developed by the CVRDE was based on the Army’s recommendations following comparative trials of the Arjun Mark I and Russia’s T-90. One of the main requirements, according to experts, was to reduce the weight of the tank as well as incorporate an anti-tank missile firing capability. The weight of Mark II has been reduced to less than 50 tonnes. The updated model has over 90 improvements over the previous version. Also, it largely relies on indigenous components. i pray to god that chota bhai doesnt flop in this. Even if there is corruption in it, but the tank should see through. if chota bhai is really into this ..he wont flop. Ambanis know how to keep babus..netas happy... this is good omen ! I would have been happy if it was firms like L&T, Kirloskar, Godrej and others...Chota bhai's modus operandi is to f**k over every party involved. Bribe and under quote to win a contract..Make loopholes in contract through his lackeys within the sarkari agency involved . Finally when the project starts, make a mess of it and then sue the government in the end blaming all the delays on them. I might sound too cynical, but everything chotabhai touched has turned mud...Reliance Comm, BSES (Later Reliance power), Pipavav (there are more reasons for this case i know..), Big TV and DTH, Delhi Aero express, the perennially late Mumbai metro..and god knows what else...His financial situation is too weak to support any serious R&D in any of his firms..
jpremnath wrote: I would have been happy if it was firms like L&T, Kirloskar, Godrej and others...Chota bhai's modus operandi is to f**k over every party involved. Bribe and under quote to win a contract..Make loopholes in contract through his lackeys within the sarkari agency involved . Finally when the project starts, make a mess of it and then sue the government in the end blaming all the delays on them. I might sound too cynical, but everything chotabhai touched has turned mud...Reliance Comm, BSES (Later Reliance power), Pipavav (there are more reasons for this case i know..), Big TV and DTH, Delhi Aero express, the perennially late Mumbai metro..and god knows what else...His financial situation is too weak to support any serious R&D in any of his firms..
All you need is land, investment, plant and machinery, skilled staff and experienced management and a contract to get going along with hefty contacts in the govt. How do you think L&T, godrej, mahindra, Tata, bharath forge, kirloskar etc along with many others enter into the MIL business, in the first place??. They also came in exactly like the ambanis and the adanis are looking to do. Which of the above had any expertise in the MIL business prior to entering the same?? How do you think LM and other gora JVs/companies are managing in India?? Except for a few goras on staff, all the rest of their employees have been mercilessly stripped from Indian companies. Just like what all the others did when they "started" and again, exactly like what ambani and adani will also do, if/when they enter the MIL business. I understand the eagerness of these guys( traders like adani and chota ambani) to enter MIC..there is big money to be made..and nothing wrong in private firms making decent profit..heck i dont even care if they make a 40% margin on things they sell to govt..My comment was on who we are letting in when it comes to flagship projects like fighter jets and submarines.Instead of experienced engineering companies with established infrastructure and human resources, we encourage people who are best known for taking huge loans to launch unsuccessful businesses. And I am surprised that people in BRF dont see whats wrong here.. If only it is that simple...how can some one just acquire thousands of skilled workers and engineers at the wave of a wand?..Both Adani and Ambani doesnt have any engineering operations to supply huge number of mechanical and electrical engineers. And machinery? how can we expect them to invest millions into machinery which they might not even use once these small batch orders are completed...But its not the same with companies like L&T which already has plenty of capital equipment used to make their current industrial products. Agreed we need private money and efficiency in our desi MIC. But handing over complex projects as a full package will end in disaster..If ambanis and adanis want to enter let them enter supplying the smaller parts to larger PSUs who can then be the integrator..They can make radars, or avionics or something small but profitable...A good case is TASL..they started making smaller parts to LM and look how much they have gone up the value chain...give them another decade and I am sure they will be a biggie in Indian aerospace. L&T has tremendous experience in large and complex engineering projects all across India and ME and have been knocking at govt doors for long to enter defense business without much luck ( I am not forgetting K9, which is a small run of CKD kit assembly). They could be our Raytheon, instead both UPA and NDA2 seems to be more comfortable with Chota ambani and Adani. Chetak - please keep general rants out of this thread please. They serve no purpose and are not productive and incite counter replies. C'mon Gyan. Please no rants here. You know the issue is not as black and white as you mentioned. Multiple PSU and private products which are fairly innovative and with local involvement. Multiple interesting programs and details. BEL is investing ~10% of sales in R&D. This is a pretty good figure. GRSE working on double-lane bailey bridges for Army. Defence PSU Garden Reach Shipbuilders and Engineers (GRSE) Ltd is working on making 7.5 metre double-lane bailey bridges for the Army to facilitate movement of tanks, a top company official said on Wednesday. GRSE expects steady orders as Navy, Coast Guard aim at increasing capacity. Saxena said that GRSE, which has a capacity to build 20 ships concurrently, is working on expanding it to 24 ships by 2021-22 by utilising space available at its Rajabagan facility. The public sector shipbuilder, which is going to launch an IPO on September 24, is expecting to raise around Rs 340 crores from the market, he said, adding that the amount raised would go to the Government of India. Difficult to find a customer who agrees with what T Suvarna Raju says. If what he says is true, then why did the current incumbent not open his mouth?? In the end, its all down to "woulda coulda shoulda", and not what he did when he was actually in the chair. This is the first time anyone from the state-owned aircraft maker HAL has publicly commented on the questions around the Rafale deal. A Rafale fighter aircraft flys during the inauguration of the 11th biennial edition of Aero India 2017 in Bengaluru. It was also involved in the complex Mirage upgrade programme. The Rafale deal has become controversial with the opposition, led by the Congress, claiming that the price at which India is buying Rafale aircraft now is Rs 1,670 crore for each, three times the Rs 526 crore, the initial bid by the company when the UPA was trying to buy the aircraft. It has also claimed the previous deal included a technology transfer agreement with HAL. The NDA has not disclosed details of the price, but the UPA deal, struck in 2012, was not a viable one, former defence minister Manohar Parrikar has previously said, implying that it would have never been closed and that, therefore, any comparison is moot. The NDA has said that the current deal also includes customized weaponry. Last edited by chetak on 20 Sep 2018 16:05, edited 1 time in total. The amerikis and the french not wanting to "risk" partnering with HAL also ensured that tens of thousands of aviation jobs would be retained in their own respective countries to benefit their own workers and economies. On the former HAL Chief T Raju's remark, that HAL could have built Rafale jets - yes, what he says should be taken seriously. The stalemate between the Indian government and French aircraft manufacturing company Dassault over the supply of 126 fourth-generation Rafale fighter jets, was not so much because of pricing as much as the Hindustan Aeronautics Ltd’s (HAL) competence to deliver on quality, top Indian Air Force sources have revealed to The Quint. Two reports by the then American ambassador to India Timothy Roemer and teams of specialists from Dassault, raised critical questions about low quality standards at the HAL, and constitute the likely reason behind the Narendra Modi government’s decision to let Anil Ambani’s Reliance Defence seal the deal with the French aircraft manufacturing major. Defence Ministry sources said that Roemer and Dassault, as well as top IAF officers, agree that quality would have been compromised had the HAL been the Indian partner of the French manufacturer. Roemer’s confidential report to the then US administration under President Barack Obama, just before his tenure as ambassador ended in 2011, said in clear terms that the HAL was not competent to be a partner of either of the two American companies – Boeing and Lockheed Martin – that were keen to bid for India’s medium multi-role combat aircraft (MMRCA), purely because it did not meet the quality standards the two US giants sought. After some French government officials were able to “lay their hands” on Roemer’s report, Dassault executives and specialists sought permission from the Defence Ministry, then under the stewardship of AK Antony of the Congress-led UPA, to visit HAL’s factory in Nashik where the Russian Sukhoi-30 fighter jets were being produced at the time. Once permission was granted, based on Dassault’s study of HAL’s Nashik facility the French government conveyed their displeasure over quality control once it was discovered that there were production-related problems over the manufacture of the SU-30s. Dassault’s conclusion was that the company “could not risk its global reputation” by partnering with the HAL, as the latter’s production facilities in Nashik were “in shambles,” according to top IAF sources. Dassault submitted its report to the French government in early 2014. The IAF sources said that at the time, Antony reacted sharply and took the stand that the French government could not change its decision on the Rafale aircraft. However, the UPA government had little option in the face of Roemer and Dassault’s “scathing” reports. The sources recalled that talks between the French and Indian governments for the supply of 36 fighter aircraft began a year after the Modi government assumed power in May 2014. By that time, the acquisition of 126 MMRCA aircraft was in a “logjam” primarily because of the HAL’s quality issues. In April 2015, there was a government-to-government in-principle decision that India would purchase 36 Rafale aircraft in “fly away” condition, and that there would be no manufacturing in India. The final contract was signed in September 2016, with an exclusive clause that there would be no technology transfer to India. TALEGAON, PUNE: Dr. Subhash Bhamre, Union Minister of State, Ministry of Defence, recently flagged off five different Defence systems at Larsen & Toubro’s Strategic Systems Complex (SSC) on the outskirts of Pune. Looks like HAL's Suvarna Raju has muddied the waters on Rafale and net result is the waters have fallen on HAL itself under his leadership. HAL leaders will never admit to anything wrong with their org or firm. Its a blind spot. ramana wrote: Looks like HAL's Suvarna Raju has muddied the waters on Rafale and net result is the waters have fallen on HAL itself under his leadership. very easy to be a tiger when you have no skin in the game. HAL has captive customers and a works with a "cost plus X%" contract. Also, it has a readily available financing source that never asks tough questions. He has just wiped out any post retirement sinecures that he may have been hoping/pitching for. chetak, What got me mad was to find that HAL had the 5/year mfg line for Tejas! With 5/year even 100 aircraft would take 20 years. The 20+20 would have taken 8 years to make. And then the second green field line was added. Sanctioned and FUNDED in 2003, production line was incomplete even 2015. whether it's complete today even for 8 LCA is doubtful. Video out on Youtube today claiming that HJT 36 (IJT) will be ready again for test flights by year end. Tail section changes/replacement done per advise/consultancy of BAE and wind tunnel tests have been successful. ramana wrote: chetak, What got me mad was to find that HAL had the 5/year mfg line for Tejas! Vips wrote: Video out on Youtube today claiming that HJT 36 (IJT) will be ready again for test flights by year end. Tail section changes/replacement done per advise/consultancy of BAE and wind tunnel tests have been successful. I have very very strong doubts if BAE will allow HJT36 to succeed or evolve properly. I agree. I think the HJT will evolve into the Hawk (I) paid for by HAL and manufactured by Reliance!! HJT will be in the air soon. Indranil wrote: HJT will be in the air soon. 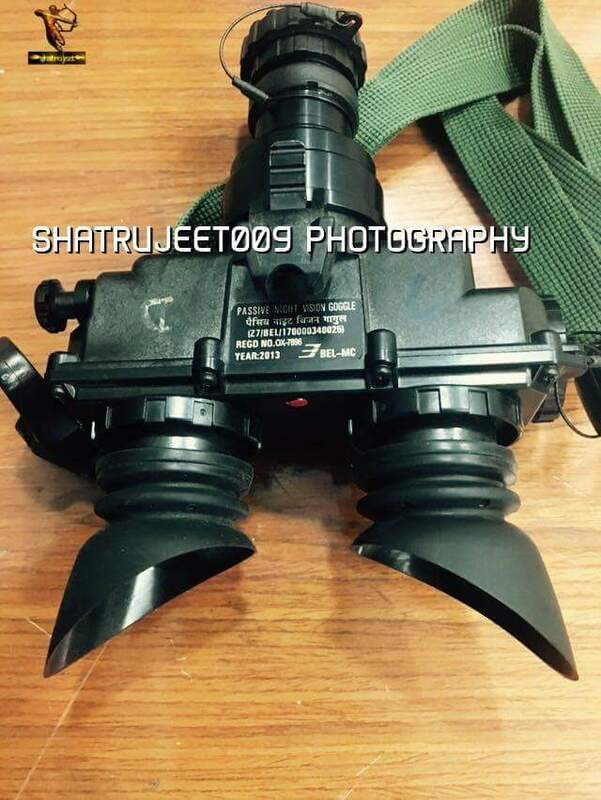 Does HJT even have a use case for IAF? Best course will be to go China route and incorporate AJT tech into HJT. Vips wrote: RInfra to deliver parts prototypes for Arjun Mark II ahead of schedule. The weight of Mark II has been reduced to less than 50 tonnes. Is that true or typo..? Do we have a corroboration for this one..? Looks too good to be true to me.